Privakey solves the identity challenges of business banking and introduces a new way to securely interact with your clients. 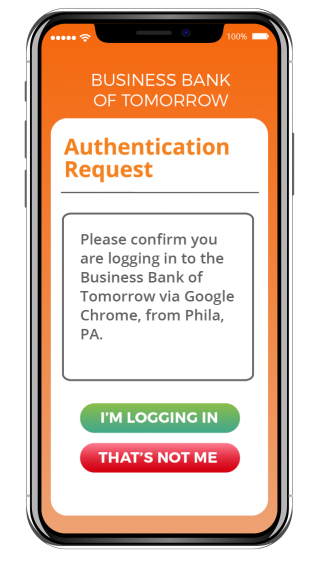 Backed by public key cryptography and biometrics, our solution extends what’s possible to deliver in your mobile banking app and improves some of the most frustrating commercial banking experiences today. Everyone loves the convenience of using mobile apps, especially banking apps that deliver convenient access to account details and transactions. But many business banking activities remain frustrating to clients, especially those requiring strong identity assurance. Privakey enables clients use their mobile banking app to complete many frustrating processes in a secure and easier way. No one likes using hard tokens, especially in the enterprise where clients may have an entire drawer full of RSA tokens. Providing software based authentication options would be a big win for clients and their customer satisfaction. Your app could be used to prompt clients to verify their identities instead of using a physical token device. A simple push notification is sent to the user that’s authenticating, and with a simple tap of a fingerprint or facial scan their identity is verified. It’s 2019 and clients are still required to be physically present at a branch or have to call in to confirm wire transfers. A serious digital upgrade is to dramatically improve the customer experience, while preventing fraudulent activity. Offer clients a new way to digitally approve wire transfers with the backing of multi-factor authentication. 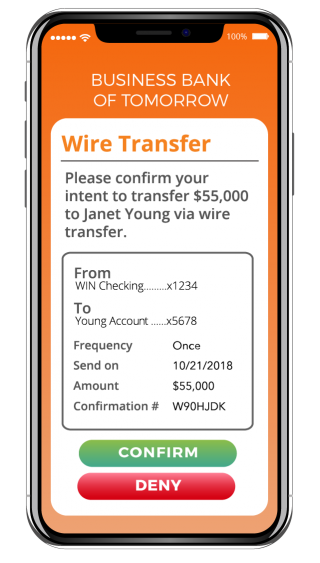 Users receive a notification through the bank’s app with detailed transaction details and easy response options, all backed by secure biometrics. Many commercial banking processes still require physical distribution of paper documents and wet signatures for approval. There’s an opportunity to shift these workflows to a mobile banking app that would improve the client experience. 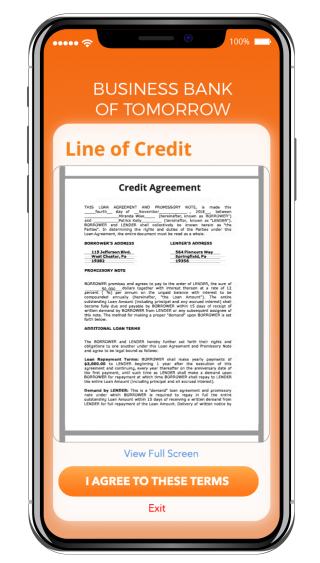 Enable clients to conveniently sign off on loans or other documents in their bank app. A push notification can send documents like PDFs to clients’ devices where they can digitally agree to terms and sign off with a biometric in seconds. Improve your clients' banking experience today.